We have our second physician, Med School Financial, today on 10 Questions. Pretty cool, right? I love it when someone in a position of high income decides to use their money and time wisely instead of buying a Mercedes and vacation homes. One thing we can never do is underestimate our potential to change the world, even if it’s the world of one person, that’s still an amazing accomplishment and fully worth the effort. That quote is pretty great. Take it away Med School Financial. I am a firm believer that our finances and our health are intricately linked with one another and the blog is where I write and share my knowledge and advice on how to take meaningful steps to improving both areas of our lives. If these two areas are well optimized, we will undoubtedly lead healthier, happier, and overall more satisfying lives as we journey to financial independence and well into retirement. For me it’s the best of both worlds because I get to focus on two areas I am thoroughly energized by and at the same time see a definite need for more great resources that address this knowledge gap on the grander scale of our own society and the rest of the world for that matter. The blog’s greatness lies in my mission to make a positive difference in improving financial well being and literacy, but also in being a member of the PF blogging community at large. The PF community’s potential for greatness is unlimited and simply cannot be overstated. Whether that’s by achieving SMART goals as evidenced by the 1500 days journey or by many of the readers here who intimately understand what it takes to go the extra mile in achieving set goals. As Healthcare is gradually making progressive steps towards value based care, a lot of these efforts include improved transparency on financing and greater in prevention. I aim and hope to help demystify that and distill it such that it is value add. My drive has always been to make a positive difference for those I have the opportunity to interact with. By training, I am in the business of population health as a preventive medicine physician and the blog offers a real way to reach the full potential of what can come from helping more people than is possible using other mediums. One thing we can never do is underestimate our potential to change the world, even if it’s the world of one person, that’s still an amazing accomplishment and fully worth the effort. I have an interest in systems and how we can work together to improve them, so I approach the blog from an entrepreneurial standpoint and would like to build it into a valuable resource for readers and if possible a sustainable business as it grows in the future. Short term – I would like to continue to focus on the reader by providing value, build a collaborative network within the PF blogging community, and in time establish a one-one consulting service in the next few months (To stay updated and get on the list for this and other updates, visit medschoolfinancial.com and sign up for the newsletter wherein I will be sending out updates). Long term – My goals long term are to build a sustainable blog that provides value to others and allows me to continue my passion for writing. If readership and the blog grow to a point of generating meaningful revenue, I would like to pay it forward by helping improve the situation for others working through debt elimination. However, I would view this as a byproduct of focusing on the fundamentals of why I started the blog and hence not the sole goal but would be a great thing to be able to do. Writing is one of the best things I get to do in my day. I am a life long learner and writing is one way I continue to do that. There are also countless benefits from a health and resilience standpoint that result from writing. I want to reach a point when finances have no bearing on my decisions, and for me that is my initial goal because at the moment, I enjoy the work I am engaged in and the writing is a natural extension of that so hopefully I get to experience a career that comes with the famous adage of “do what you enjoy, and it will hopefully never feel like a job”. However, the timeline to reach that is currently in the next 5 to 10 years, at which point I will be 40 and reassess. I am a Preventive Medicine physician; Preventive Medicine is the specialty that focuses on the health of individuals, communities, and populations. Its goal is to protect, promote, and maintain health and well-being and to prevent disease, disability, and death. In this sentiment, I believe personal finance is a large contributor to poor health outcomes either directly or indirectly. Hence, my mention of how building the blog site is a natural extension of working to prevent that from happening is important to me. Another quote that I am fond of is “life is short, even at its longest”, which to me speaks to making the most of each and everyday. I hope to be able to look back and be humbled by the good that came out of the journey to 90 and the countless people I envision to have had the opportunity to connect with in that process. It’s important to be able to measure progress, so I am a fan of software for tracking finances, I currently utilize Personal Capital, because you can’t manage what you don’t measure. So however you can accomplish that, it is a fundamental aspect to achieving goals. I am a fan of micro brews and wheat beers. Blue moon is generally a good choice, in the wheat beer category. Chess is a great game, it was one that we always played over family holidays for fun and continue to enjoy it when I get the chance. I do a mix of resistance training and cardio about 3-4 times a week. If you could pass on one thing to those reading this in less than 30 seconds, what would it be? 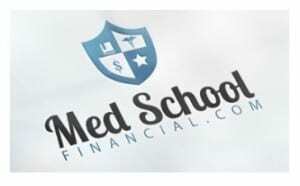 To keep fighting the good fight and to connect at Twitter, Facebook, or online at www.medschoolfinancial.com. Thank you MSF for taking the time to share your thoughts with us today. Glad to get to know you a little better, Dr. J! And congratulations on finishing fellowship (which I believe you did 2 days ago)! He truly believes in community. The first real e-mail to my PoF gmail account was from Dr. J looking to collaborate. I think my blog had existed for several hours at that point. Keep up the strong work, continue to spread the word, and put down the Blue Moon (mass produced by Coors) and find yourself a nice wheat beer from a true local microbrewery. These interviews never get old, and I always learn several new things about fellow bloggers. If you like Blue Moon, MSF, I would recommend looking into Hoegaarden and Allagash White. They’re a bit more expensive but worth the price. I will second Hoegaarden. Very lovely beer. Thanks for letting us know more about yourself! Oh my god. I absolutely love this blog, but it all of a sudden became 100x better (if that is even possible) with the comments about Hoegaarden!!! I completely agree that health and personal finances are intricately connected. I know first hand! My stress levels went down immediately following me paying off the last of my debt. Best feeling ever! I love blue moon too! Mr. 1500, I think you’ve been on a med-kick recently… this is two physician-esque people in a row! Perhaps you should go back to PoF and get your subconscious evaluated for the answers. Thank you all for the great feedback, and enjoyed the interview with Mr. 1500! Thanks for sharing your experience! I totally agree that health and personal finances are intricately connected.